Happy 4th of July (to those of you that celebrate)!!! I know I never post on Saturdays, but it's a day to celebrate, and I have a celebratory collection to show you all! 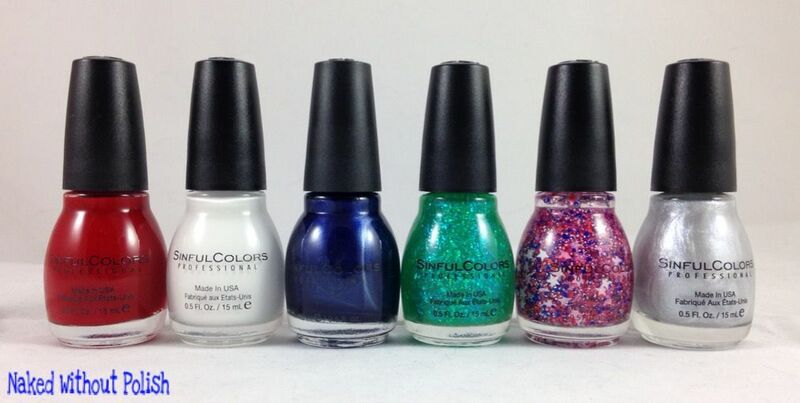 SinfulColors recently sent me most of their Having a Blast Collection (missing is Blue By You). 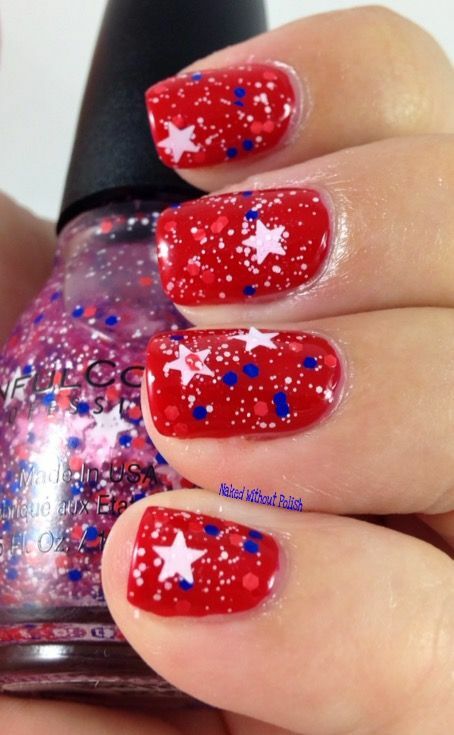 If you're having a tough time trying to decide what to do for your patriotic mani today, SinfulColors' Having a Blast Collection will make it easy on you with three creams and three toppers. No need to make things difficult! 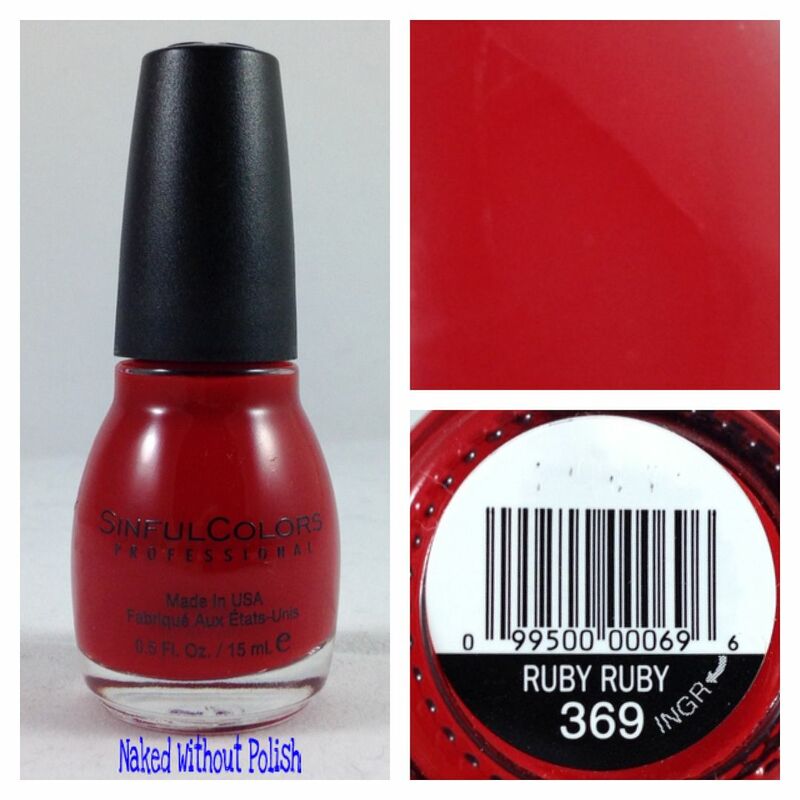 Ruby Ruby is described as "a classic deep red". 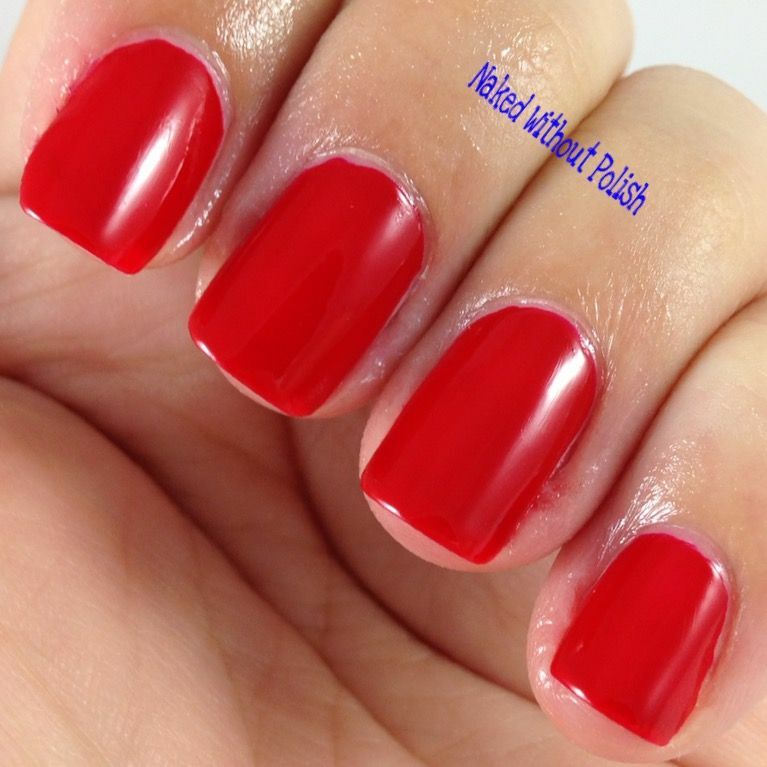 Shown is three coats of Ruby Ruby. Ruby Ruby was even more impressive on the nail. What you can't see in the bottle (and what I couldn't capture in photos) is that it is speckled in a pink flash. 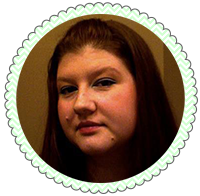 It had a perfect application, no staining, and is an overall wonderful red. 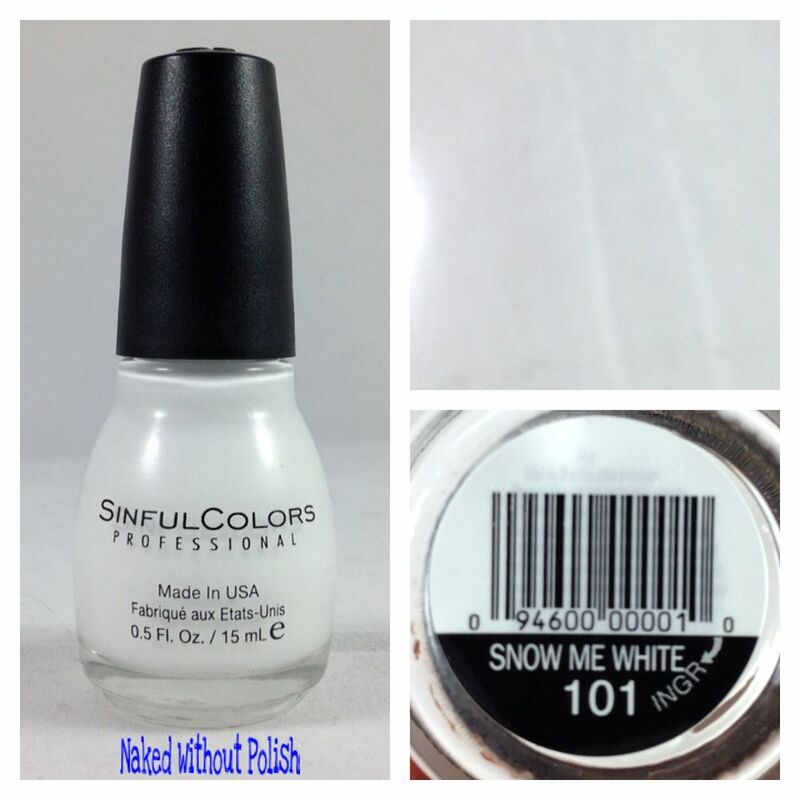 Snow Me White is described as "a bright white". 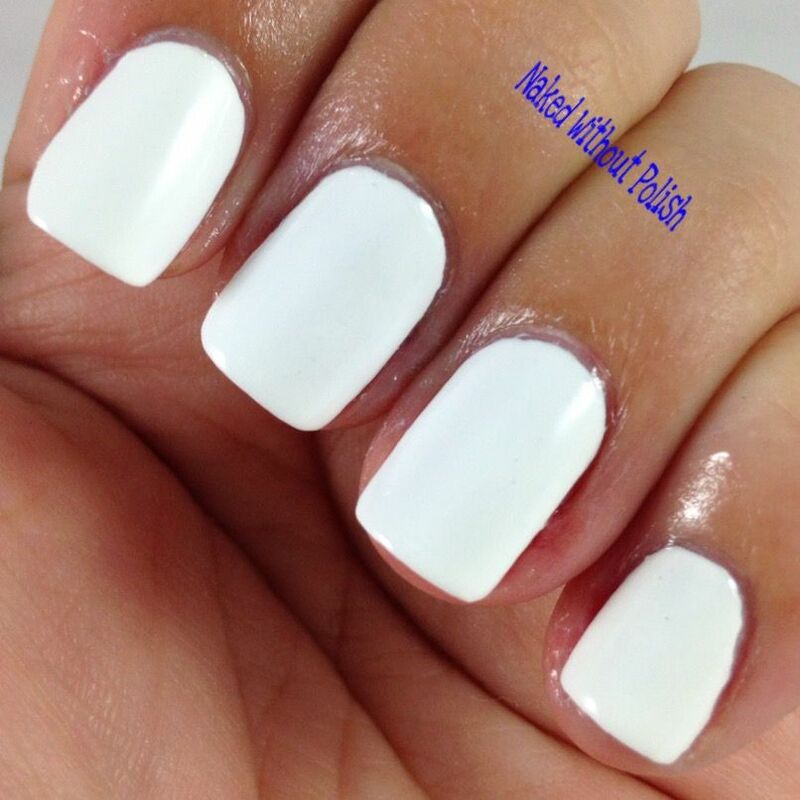 Shown is three coats of Snow Me White. 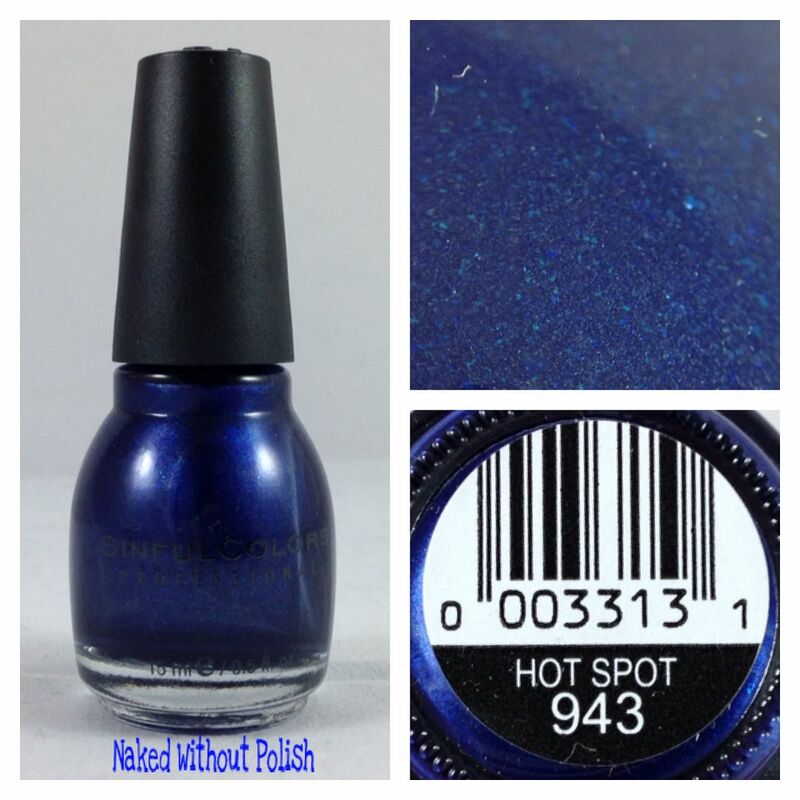 Hot Spot is described as "a shimmering cobalt blue". Shown is three coats of Hot Spot. Hot Spot was the surprising one of the bunch for me. 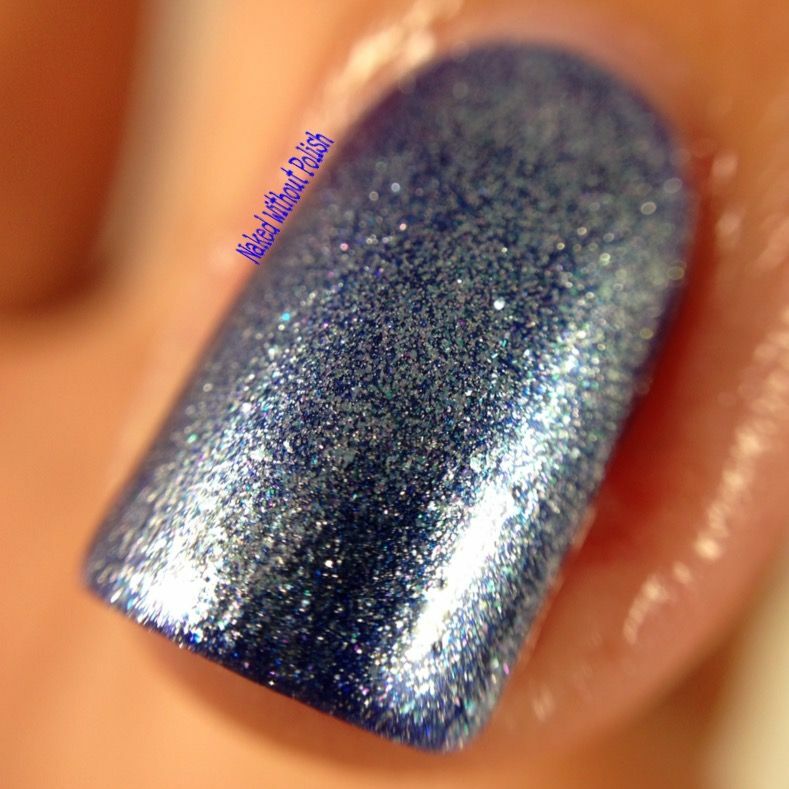 In the bottle it looks as though it will have a more metallic finish, but on the nail it is a stunningly, wonderful blue with a scattering of shimmer. In certain lights it will hint at a metallic finish, but it doesn't scream "Look at me I'm a metallic finish!" at all. She's not humble. She still wants to be stared at, but she's not begging for attention. Slightly streaky and minor pulls, but evens out at three coats. 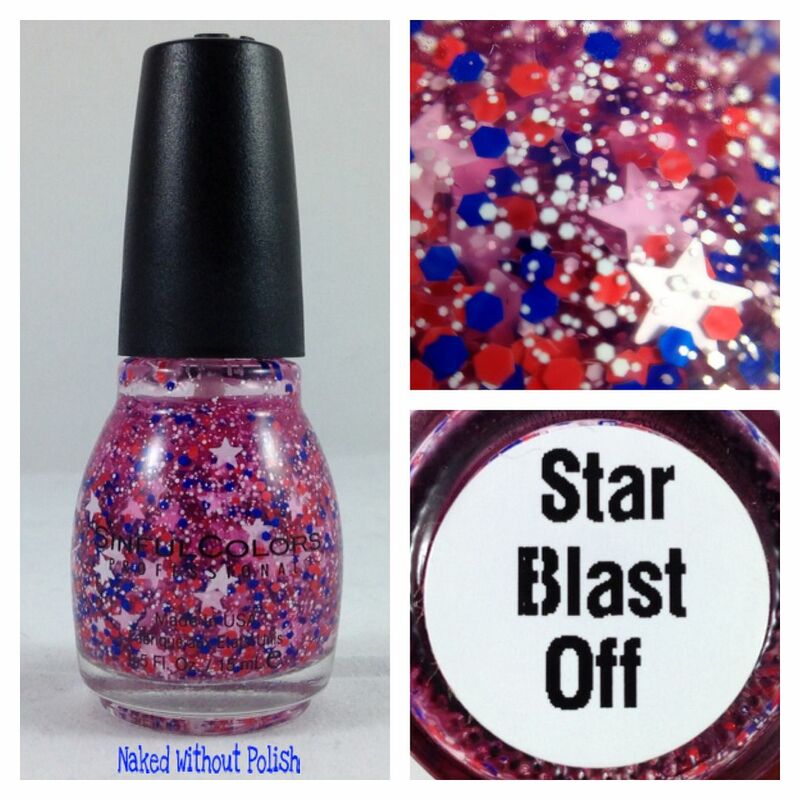 Star Blast Off is described as "star-spangled red, white, and blue confetti". 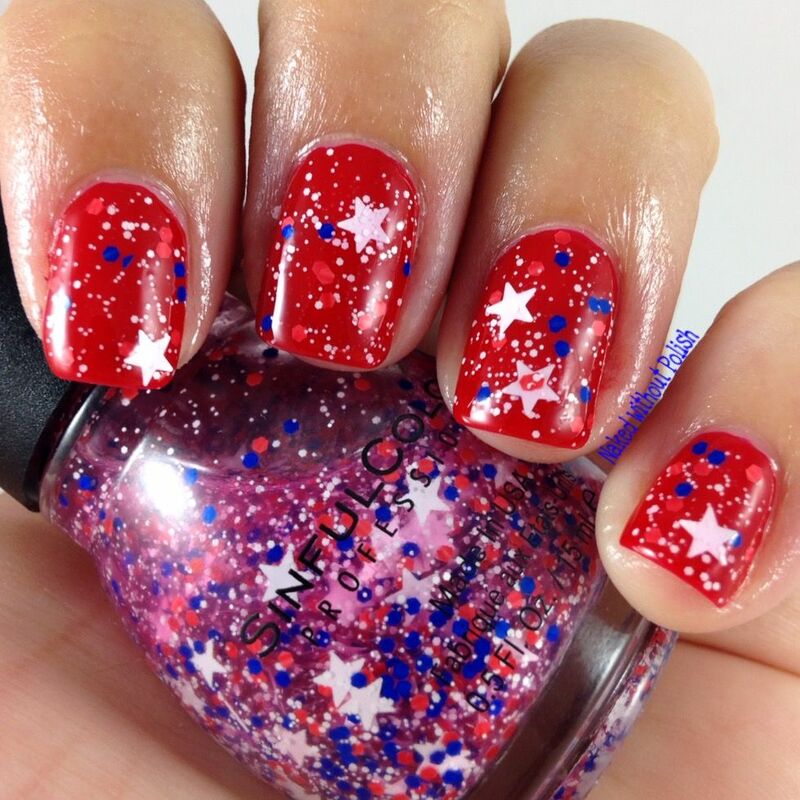 Shown is two coats of Star Blast Off over Ruby Ruby. I'm not the most patriotic person. I love my country, but I can only handle so many red, white, and blue combos. However, I was kind of excited to get Star Blast Off. 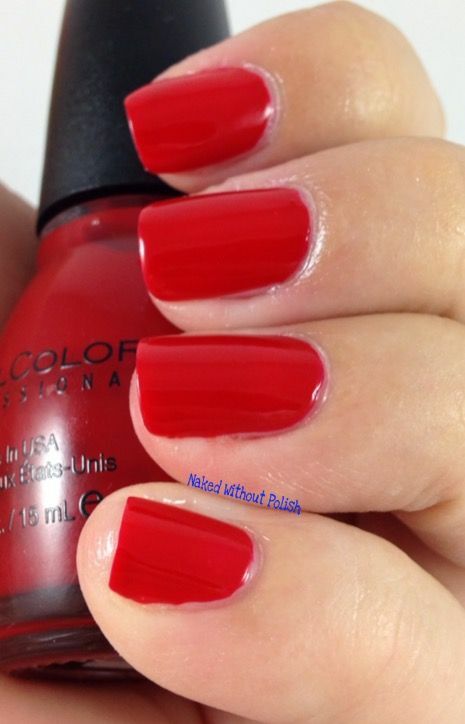 Then I looked at the bottle I received and noticed it was pretty much a tinted red jelly base. The glitter has bled. 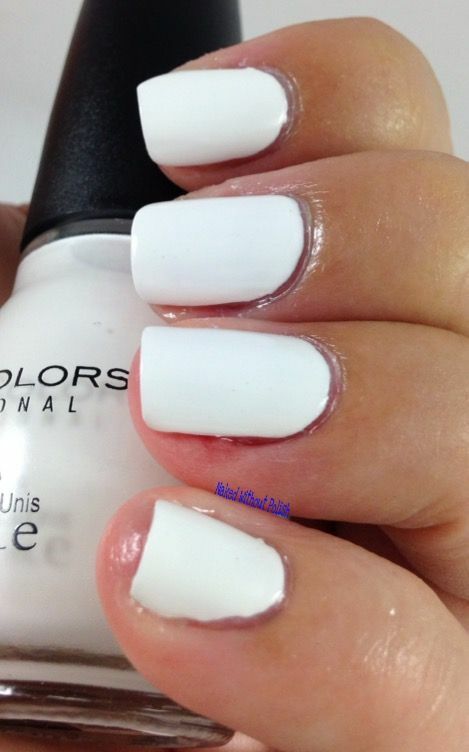 Do not use it over white if your bottle looks tinted. It's perfectly fine over red though! 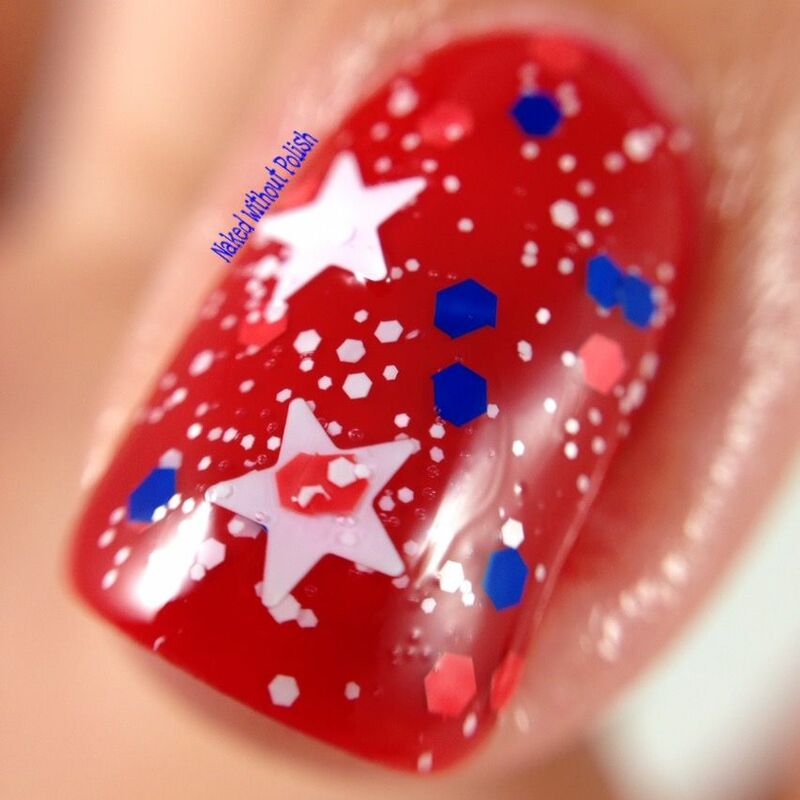 A little fishing for the stars, but other than that it's a decent topper and perfect for a quickie mani! 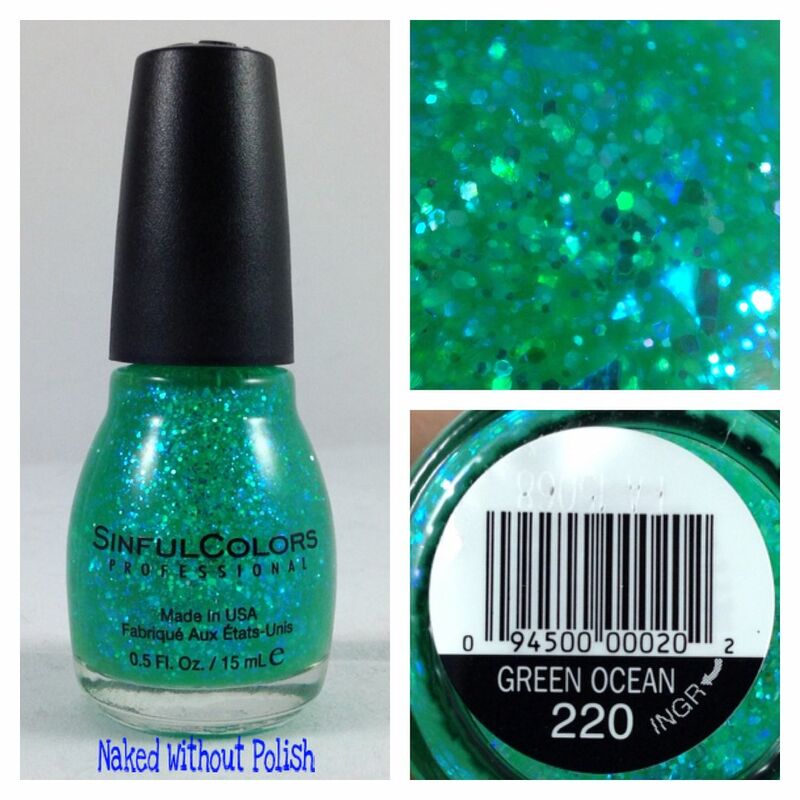 Green Ocean is described as "a glitter-flecked emerald". 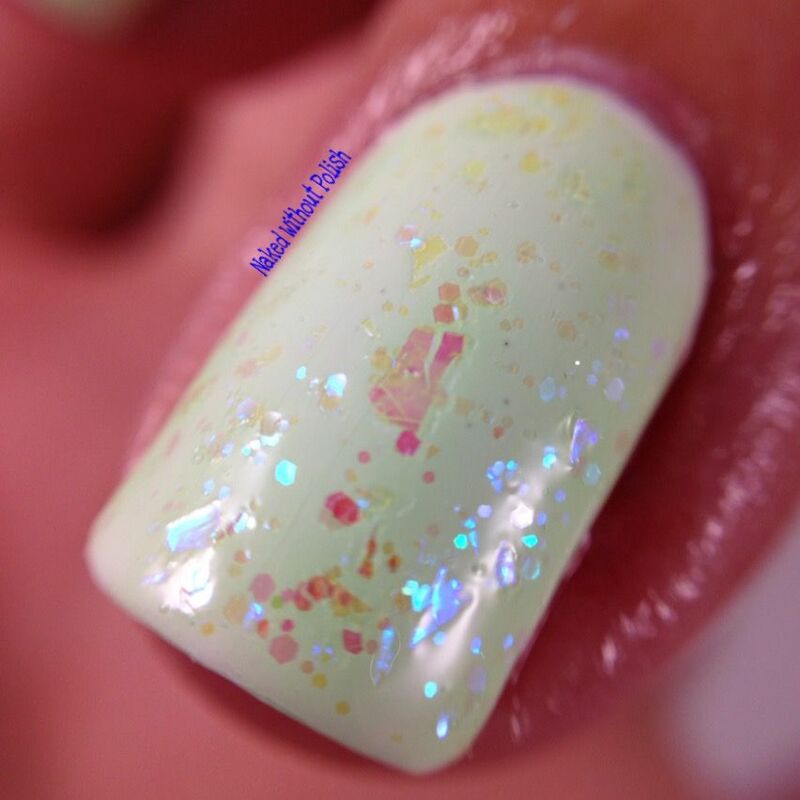 Shown is one coat of Green Ocean over Snow Me White. Personally, this Green Ocean is now a thing of controversy. It originally used to be a wonderful, green-tinted, jelly filled with iridescent flakes. Now, it's a gloopy, green-tinted, jelly filled with iridescent hex glitter and a few iridescent flakes. The formula is off and not as great as it was. I miss all the flakes. It's a disappointment that they changed it and made it so mediocre. If you're lucky enough to have one of the original versions, keep it and never let it go! 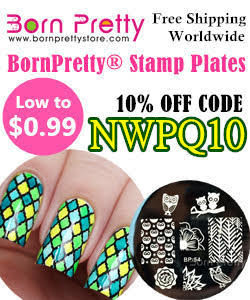 Out of This World is described as "the perfect silver with swirls of glimmer". 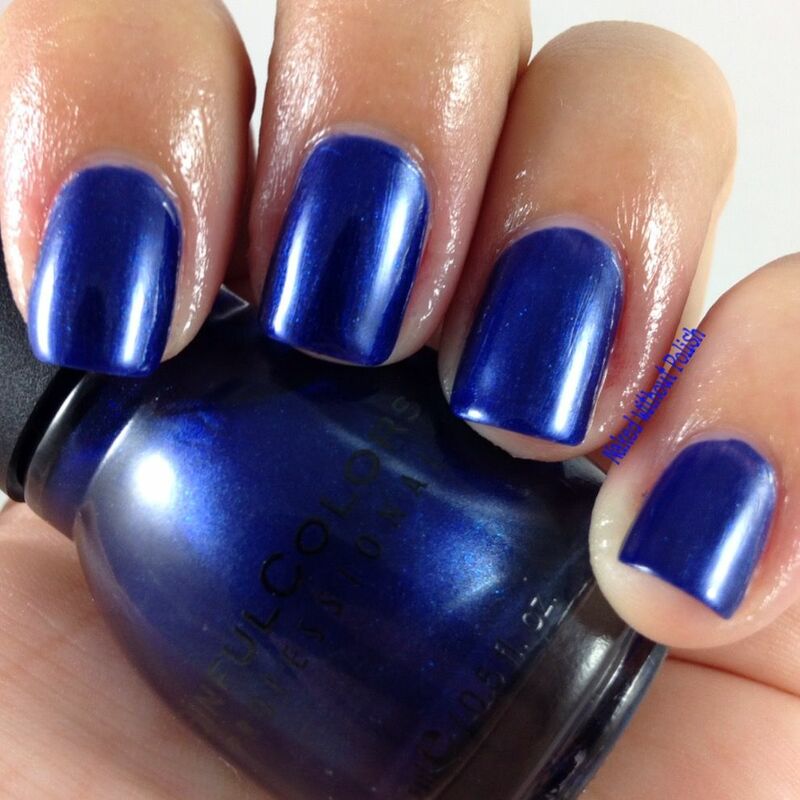 Shown is one coat of Out of This World over Hot Spot. Out of This World was another that surprised me. 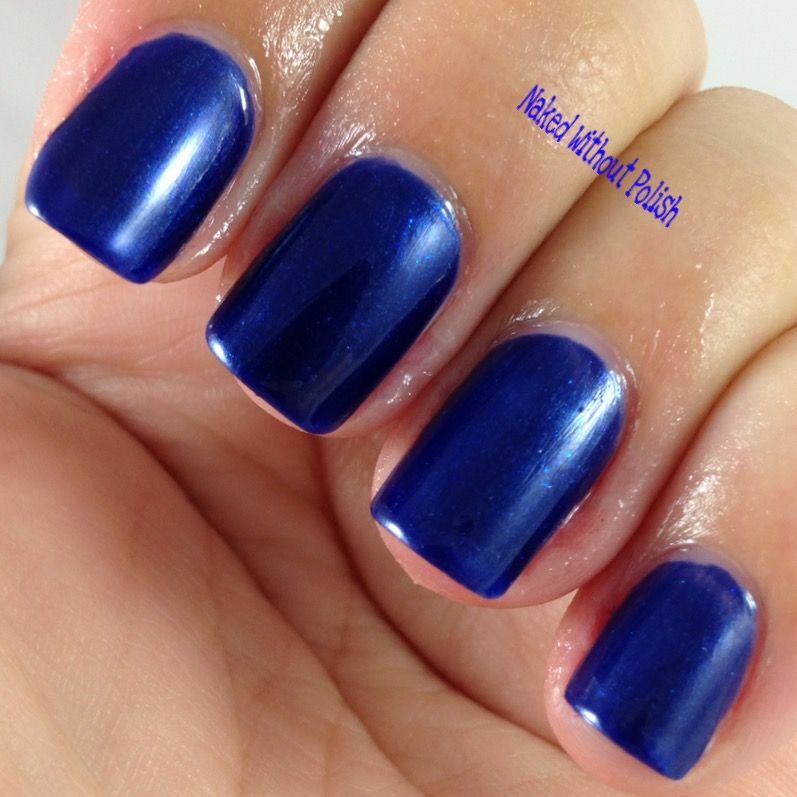 In the bottle it is like liquid metal, but on the nail it is alive with color. 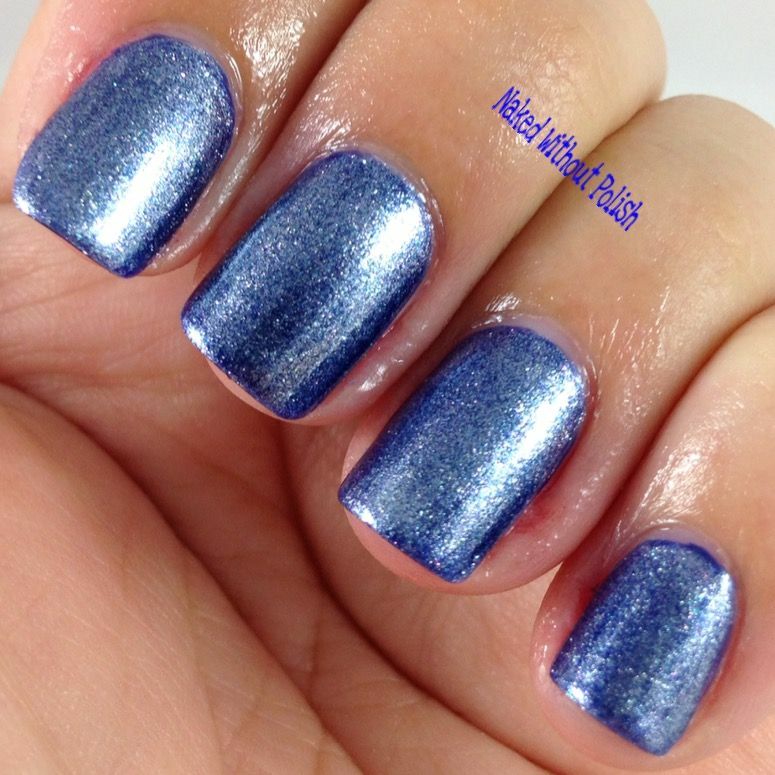 Lovely silver flecks scattered with blue and pink flecks. 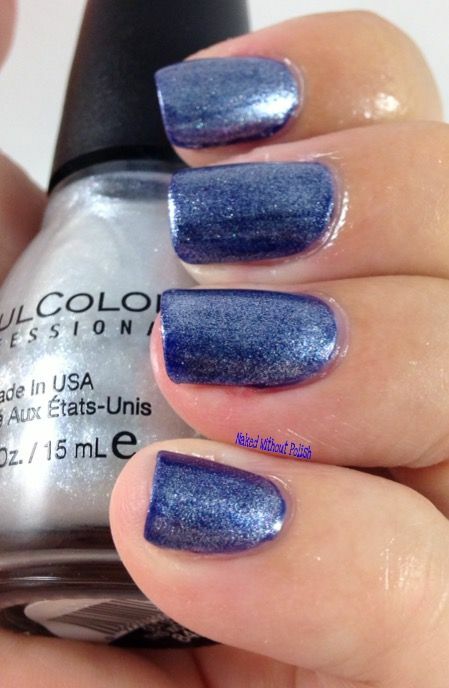 If I did three coats on its own, I have a feeling the blue and pink flecks would be drowned out by the silver. I love it as a topper, and it was easy to work with. Having a Blast Collection is a must have, with the exception of Green Ocean (unless they switch it back to the original). 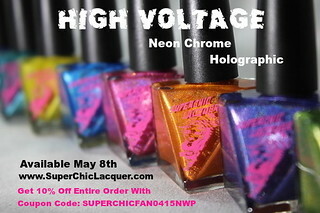 These should be available at your local SinfulColors retailer for $1.99 a bottle. 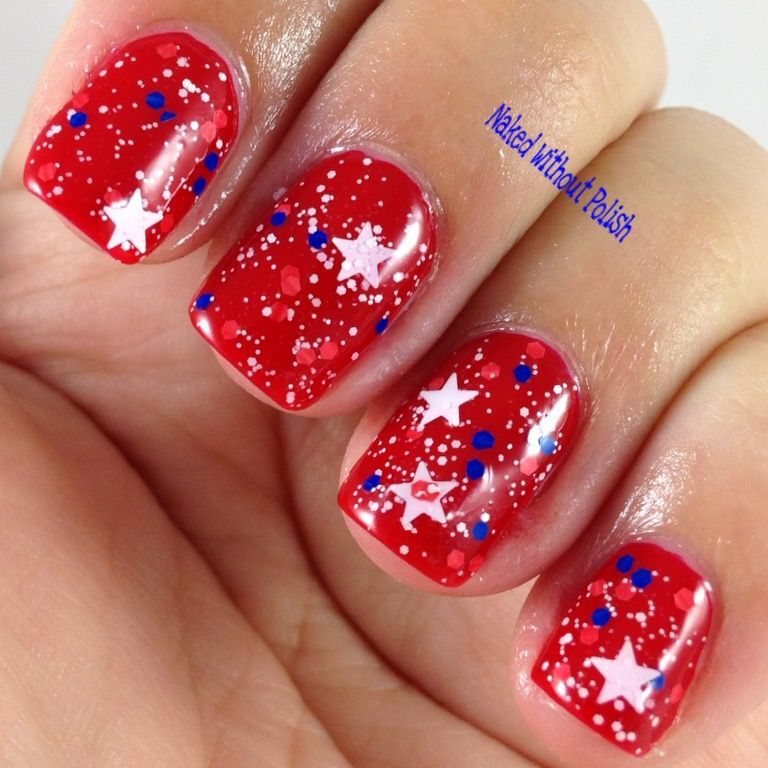 Quick and easy 4th of July mani! 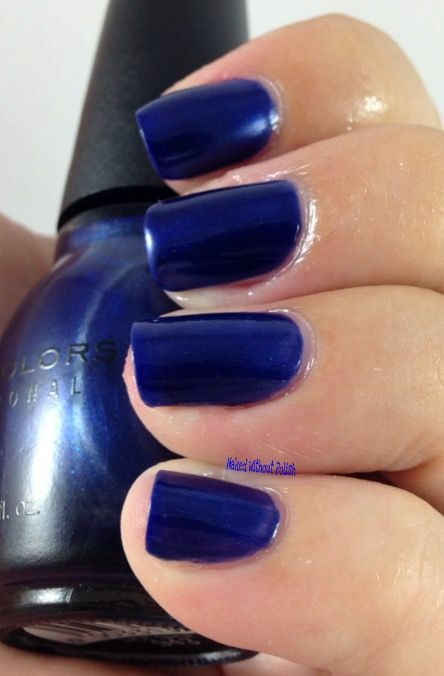 Can't go wrong with SinfulColors! I'll have their summer collection up soon too so keep an eye open for that!